Marc J. Yland, MD, Interventional & Multidisciplinary Pain Management is a unique, multidisciplinary program that offers the diagnosis and treatment of chronic benign pain, as well as cancer related pain. The program’s comprehensive team of professionals includes anesthesiologists, psychologists and physical therapists along with consultants in neurology, neurosurgery, orthopedics, physical rehabilitation and oncology. Depending on the specific type of pain, an individualized treatment program is developed and specific objectives are pursued to help patients achieve a more productive, comfortable lifestyle. Cost -effective treatments are coordinated closely with the referring professional, emphasizing restoration of function, patient education, and behavioral modification. The majority of the procedures are performed on an outpatient basis. Most procedures do not involve surgery and are performed as x-ray guided injections with local anesthesia and sedation. Each patient’s individual needs are taken into careful consideration before deciding upon a treatment plan. Pain represents a tremendous amount of human suffering, with both physical disability, and emotional distress. Through pain management we are trying to bring you as much relief as possible, and assure your return to a functional quality of life. One of the most common causes of pain is an inflammation due to tissue damage in a muscle, disc or joint. The pain can be experienced at a distance from the damaged area, as in the case of a nerve involvement (e.g. : sciatica caused by the inflammation of a herniated disc is felt in the leg). The area with tissue damage and inflammation is called the “pain generator”. Our primary approach is always initial assessment individualized for each patient. Patients and referring physicians are fully informed of our findings and of the proposed treatment plans, as well as of your progress and response to treatment. Our approach is to search and address individual “pain generators”. At times, complete pain elimination is not possible, but most patients can achieve some form of pain reduction. Recent studies have shown that the results are better when early effective treatment is provided. Early treatment also reduces the risk of developing chronic pain. Oral medications have to travel through the entire body, are often not effective, and may cause side effects. In interventional pain management, a non opioid medication is given by injection directly into the “pain generator” and is concentrated in one location. Consequently, injection therapy is more effective and has fewer side effects than oral medications. Often surgery can be avoided. We strive to find a single treatment that has maximal longterm benefit, rather than repeating the same therapy for short term relief. In our office, local anesthesia, sedation, fluoroscopy, and x-ray are available, assuring your comfort and safety during procedures. Dr. Yland completed Erasmus Medical School in Rotterdam, The Netherlands. He began his training in surgery at Mt. Sinai Hospital, and completed his residency in Anesthesiology at the University Medical Center at Stony Brook. At the University of Pittsburgh, Dr. Yland taught the specialties of Anesthesia and Pain Management. Dr. Yland is the author of numerous articles on spinal cord stimulation, botox, and specialized injection techniques. 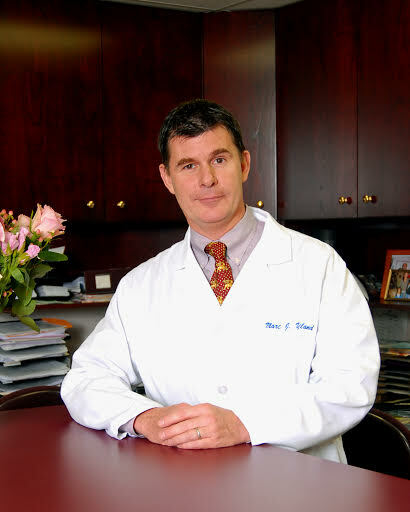 He holds several patents, has received many awards, and was first to introduce a number of advanced pain managements techniques on Long Island as of 1996. Dr. Yland served as President of the Suffolk County Medical Society. Dr Yland expert opinion has been cited by several local papers, and media stations. In 2000, we were first in the country to be accredited by the Joint Commission on Accreditation of Healthcare Organizations (JCAHO) as a dedicated pain management practice. We are affiliated with several of the major hospitals in the area. Many of our services are covered by insurance. Take the Northern State Parkway East, and continue East on Route 347 (Smithtown Bypass). After you cross Route 25, the road becomes Nesconset Highway. Continue East on Nesconset Highway (Route 347) past the Smith Haven Mall. After crossing Stony Brook Road, you will see a Burger King on your left. Make a left at the traffic light into Stony Brook Medical Park. Take Nesconset Highway (Route 347) West. After crossing Nicolls Road (Route 97), travel 1/2 mile, and turn right into Stony Brook Medical Park. Or, take the Long Island Expressway West to exit 62 north (Nicolls Road) to Stony Brook). Travel 6 miles north, and make a left turn onto Nesconset Highway (Route 347) West. Travel 1/2 mile, and turn right into Stony Brook Medical Park. Take Nicolls Road (Route 97) North (exit 51 of Sunrise Highway), and make a left turn onto Nesconset Highway (Route 347) West. Travel 1/2 mile, and turn right into Stony Brook Medical Park. 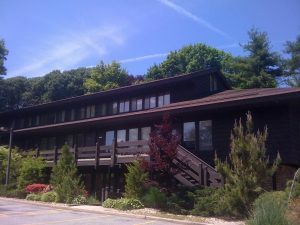 Once you are in Stony Brook Medical Park, our office is in building 24C. For your convenience we offer full disability access, free WiFi, evening and early morning hours, and TESLA electric vehicle charging. Take Northern State Parkway East to Exit 42, North Rt 231, continue on Deer Park Avenue North (Rt 35), cross Jericho Turnpike (Rt 25), cross Pulaski Road (Rt 11), until East Main Street (Rt 25A) in Huntington. Make a right on 25A, travel East, until you see Dunkin Donuts on your right. We are one block east and across from Dunkin Donuts. Take Northern State Parkway West to Exit 42, then as above.